This GoSea heavy duty sit on top kayak trolley is designed for the easy transportation of sit-on-top kayaks. This is a must have for anyone transporting a sit on top kayak or, just to make the job a lot easier. Put your kayak on the trolley, load it up with all your kit for the beach and wheel it down. Built with a pair of adjustable 22mm diameter scupper prongs it can be used with any sit on top kayak that has scupper holes. Very easy to use by simply adjusting the width of the prongs and sliding them through the scupper holes in the kayak. This style of trolley means that no straps are needed. 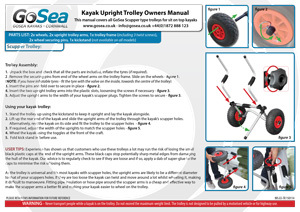 Unlike most scupper trolleys, which can be tricky to get a kayak on to and often require two people, the GoSea trolley has a very handy adjustable kickstand keeping it in an upright position and therefore making it much easier to place your kayak on top. 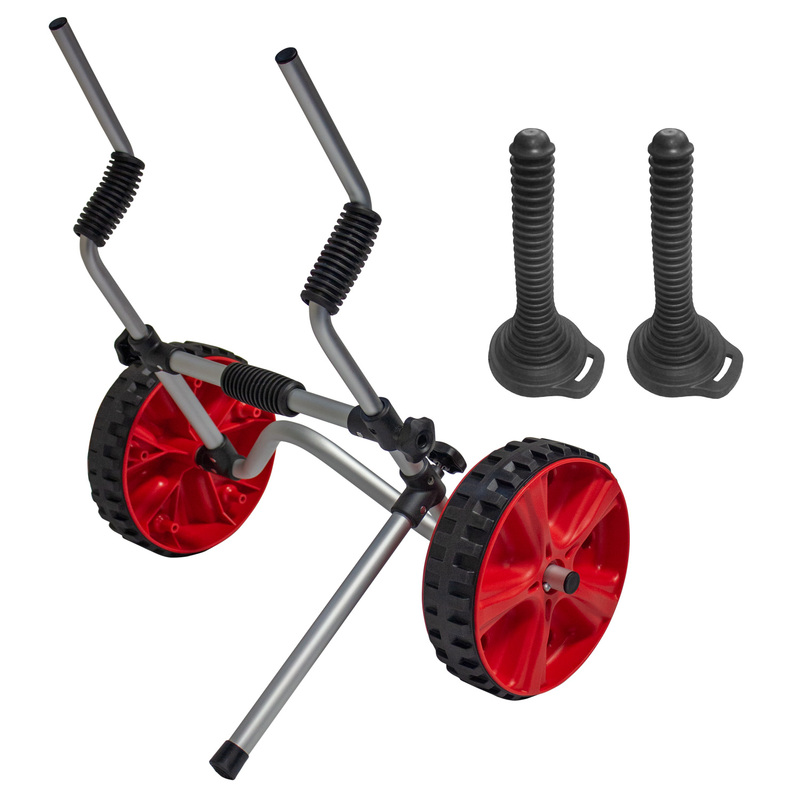 The trolley is manufactured from high grade alloys with welded seams and tough, all terrain solid rubber tyres that will never puncture or go flat! The tyres are lightweight and strong and offer much better suspension and grip compared to normal wheels. The range of adjustment of the trolley's prongs are between 14cm and 55cm. As long as your kayak's scupper holes are between this width, this trolley is perfectly suitable.